It’s always nice to be reminded of our greater goals — to know why we work. I love what I do on a daily basis, be it Drupal or ASL interpreting. 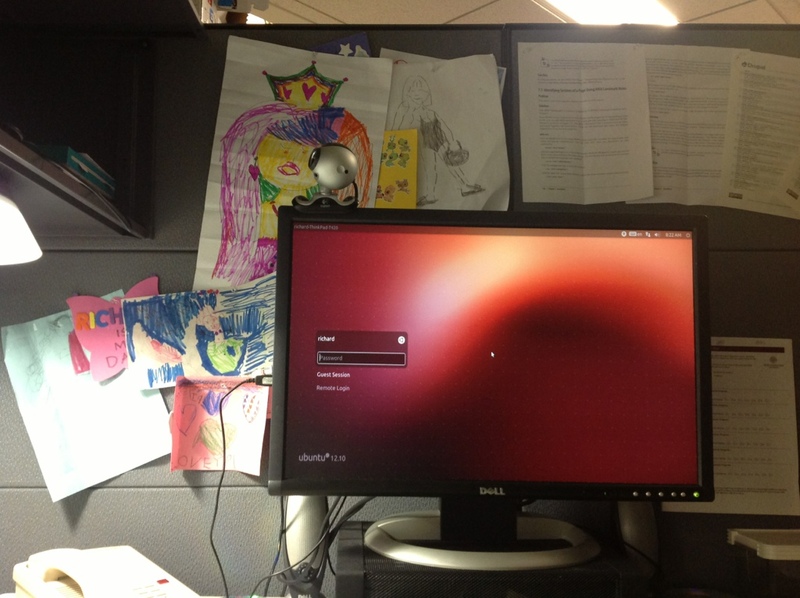 Surrounding the warm purplish hue of Ubuntu’s login screen is my daughter’s drawings, a Aria Landmark cheat sheet, and a listing of Drupal hook functions. Posted in LIfe, Image format on February 26, 2013 by Richard.